This is Part IIIb of a series on training for legal translators. See the first post here. This post looks at looks at how to get better by practising and getting feedback. The first post on how to get better looked at having a document focus. The last post on how to get better will look at finding a deeper specialisation. To get better at legal translation, you need to do legal translations. You need to practice. If you’re already a translator, the most practical and efficient way to practice is to take on legal translation work. Provided you can handle it, of course, and are willing to research deeply when translating. But be careful with this approach. 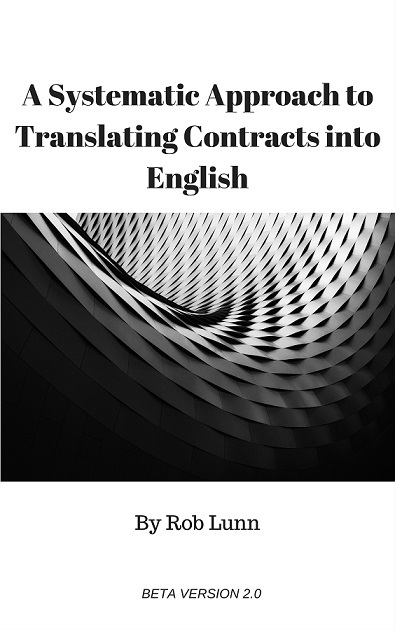 Make sure you’re also taking other steps to train yourself as a legal translator (i.e., doing the things mentioned in this series of posts). It’s too easy to just get by with translating certain types of documents but never learning how to translate them properly. Because just working will get you practice but probably not feedback. Unless you’re making a total mess of it, you’re unlikely to hear anything from your clients. You may get the odd general, positive comment. But specific, useful feedback is rare. I do have a couple of clients who check back with me for any changes they make, which is good feedback. But this is not the norm, at least in my experience. If you’re a true novice, you may want to work with a mentor or a reviser to begin with. I’ve never been involved in an arrangement like this, but I imagine it could be beneficial. As long as you team up with the right person. Apparently whether this kind of arrangement works depends a lot on the personalities involved. You and your mentor or reviser must be compatible. Also, of course, the mentor or reviser must be experienced enough (more experienced than you) to be able to teach you something. Another way of getting practice and feedback is to do a legal translation course with exams in it. The most extensive and useful feedback I’ve ever gotten was on the translation assignments I did as part of my MA in legal translation. These were dense learning experiences. My translations improved out of sight by doing relatively few of these assignments. Of course, it’s not just getting feedback that improves your translations when a doing a course like this. Knowing that your degree depends on the mark you get on your assignments pushes you to work harder and research to depths you may not normally reach. I also improved because of the other things I was learning at the same time on the course. So it wasn’t just because of the feedback. But the feedback was certainly part of it. It was a real gauge of how my translations stacked up in the eyes of experienced translators, my tutors. Another option for getting practice and feedback is a revision or translation-slam club, much as described by Simon Berrill here. This also requires finding the right people — personality and experience wise. Again, I’ve never been involved in anything like this, but I can see it could be a fantastic learning experience. In some ways, a revision club beats having a mentor or doing a course. As well as getting feedback, you get to see how peers tackle the same problem. This is something I’d like to do in the future. Although I think I’d like to do it just as a translation-slam club. However you do it, make sure you get some feedback at some point. To get better, you need to put your translations put through the ringer, at least occasionally. Posts related to Training for legal translators. Part IIIb. How to get better. Hi! What did have in mind exactly? I don’t mind if you link to or cite it. But please don’t repost it. Thanks!